The United States serves as a hub for international commerce and has attracted businesses from countries all over the world. However, many companies complain about the high litigation costs and the rampant lawsuits in the United States. Take, for instance, the fact that there are 5,806 lawsuits filed per 100,000 persons annually in the United States compared to 3,681 lawsuits per 100,000 persons annually in United Kingdom. Furthermore, there are as many as 3.3 lawsuits per capita in the United States as there are in Canada, the United States’ northern neighbor (Ramseyer and Rasmusen 2010). Why is this? Some commentators suggest that Americans’ vigilance in protecting their rights may explain why they are quick to sue. However others suggest that it might be due to greed and the tendency on the part of Americans to look to lawsuits for possible windfall. Supporters of the “greed theory” point to egregious jury awards such as the $2.86 million awarded to Ms. Liebeck in 1994 for spilling a cup of hot coffee that she bought from McDonald’s on her own lap (Liebeck v. McDonald’s Restaurants, P.T.S., Inc. N.M. Dist. Ct. 1994) and the fact that approximately 200 billion dollars per year are spent annually on frivolous lawsuits as ample evidence of greed (Post 2011). However, others think that the existence of a large number of lawyers might be fueling the large number of lawsuits. A case in point, compared to Canada, the United States has more than 15 times as many lawyers (391 per 100,000 in the United States and 26 per 100,000 in Canada). Could there be a “win-win” situation where companies can still do business in the United States without fearing expensive lawsuits? 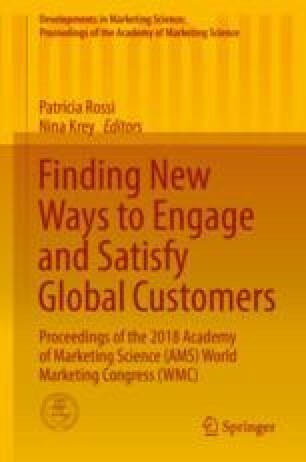 This study draws on literature in marketing and field interviews to provide a framework through which the consumer co-production concept (Lovelock and Young 1979) in services marketing could be extended to the legal system in the United States through alternative dispute resolution (ADR). I argue that although the ADR option currently exists in the United States, it is not widely used because it has not been properly marketed to the public; thus many people are still unaware of its existence. By extending the co-production concept to the legal system, I am not only providing a theory-based framework by which further studies could be conducted in the area, but I am also providing a vehicle by which the public could sold on the advantages of the ADR process over the traditional adversary method of resolving disputes.